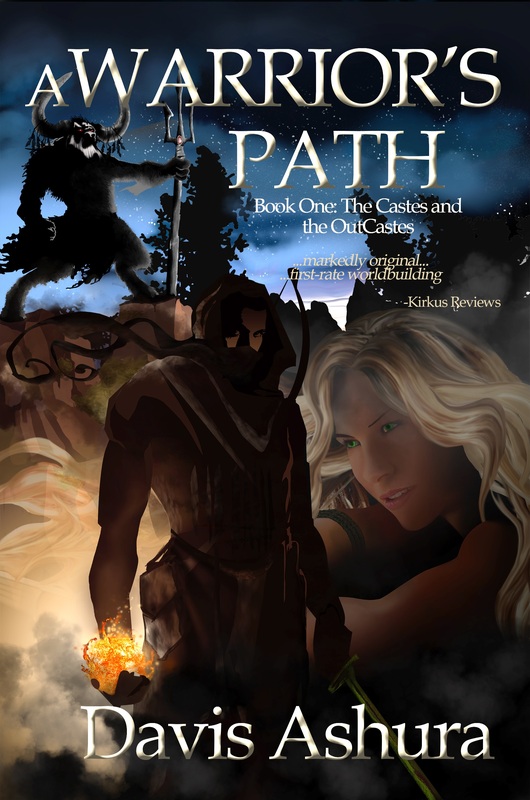 A Warrior’s Path was intriguing right from the start. A young warrior from a city state, Ashoka, beset by Chimera that roam the land at the behest of the evil and insane goddess, Suwraith, decides to head out with a caravan, transporting goods between other city states. The wildlands beyond the cities are dangerous as it is there the Chimera prey on the Humans, and indeed, decimate the caravan which Rukh, of the House of Shektan, Caste Kumma, is guarding. Escaping with a few of his comrades, each from a different caste in society, they bond in a magical quartet, blending their magic to protect themselves, an act which is seen as sacrilegious as they become able to share each other’s powers, jivatma with specialities particular to each caste. And so begins an intriguing story that builds a rich background to the city states, the Chimera who plague them, and the “outcastes”, those ostracised by Ashoka and the other cities for being able to practice magic of other castes or intermarrying between the seven castes. It examines the attitudes between conservatives and liberals, between humans, outcastes and Chimera, and lays all the prejudices bare. There is no black and white here: you are able to feel sympathy and dislike for each character in turn as they battle through their established beliefs. This was a book which introduced a new twist to the fantasy genre, and deals with complex issues in a novel, subtle manner, raising questions in your own mind about how you would react in each character’s situation, and whether you could be as tolerant (or bigoted) . To accept that your son might be different to the norm in society is one thing; to accept strangers in to your home with the same characteristics is another; and to accept an alien being who has been your enemy for time immemorial as your friend, is the ultimate test of your character. 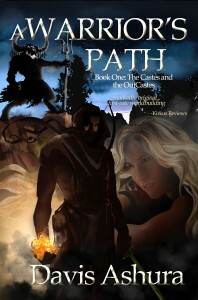 In all, I enjoyed A Warrior’s Path tremendously, and will be looking out for future instalments.